Northeast Science Shows Now Available At Biotechnology Calendar Inc. If you sell life science products in the Northeast, you will want to get information on these premier laboratory product sourcing events that attract top lab supply companies and top funded life science researchers. Purchase any of these shows more than three months in advance of their show date and receive our early registration pricing and the best available table placement. 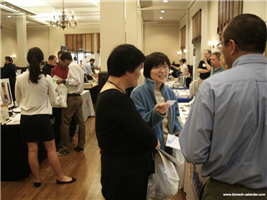 We expect exhibit spaces to sell out quickly at each of these university events, because of limited space and record researcher attendance at many of last years locations. This is especially true for our shows in New York. Please note, Harvard is a very difficult facility to penetrate and limited space is available for exhibitors. Moreover, Harvard does not allow free food or door-prizes, and we always comply with Harvard's policies. Instead we provide food for event attendees at a nominal charge. Though this has affected the 2012 attendance numbers, we expect, as researchers grow accustomed to the university event policy changes the number will climb back to normal. Don't miss out on the opportunity to attend one of these important university laboratory supply shows in the Northeast by waiting to long. These events give you easy access to highly funded science researchers who are interested in hearing about the latest innovations and products. Please follow this link if you're interested in taking advantage of our early registration pricing by exhibiting at one of these events. For information on other university nationwide shows, please see our 2013 schedule.